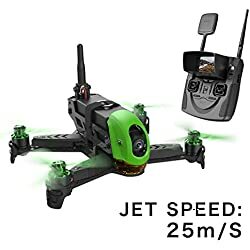 No doubt, Drone racing is quickly becoming one of the hottest hobbies around, If you are new to racing drones and want to give it a try without all the headache and technical knowledge required to build your own racing drone kit, then a Ready To Fly FPV Racing Drone would be a good choice. There is no shortage of opinions on the best way to enter the world of drone racing. The internet is packed with comparison charts and long written reviews about fpv racing drones and DIY racing kits. So in order to get you up and flying one of these bad boys without the wait, I’ll keep it simple and not bore you with all the technicalities, Listed below, you will find information about some of the best Ready To Fly Racing Drones currently available, now you can experience first hand the thrill of drone racing with your friends or just free-style flying in your back yard. 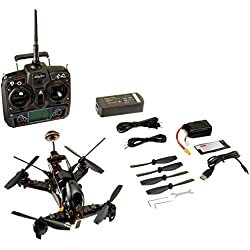 These are some of the best ready to fly fpv racing drones for beginners, all these models come with a radio controller so you don’t need to buy one to get started. 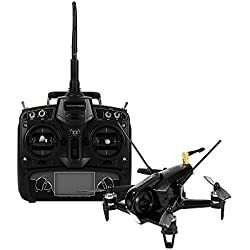 Learning to fly a racing drone takes some practice which is why we suggest you start without goggles to begin with, As you become more familiar with flying a racing drone then you can buy a set of goggles that fit your budget. 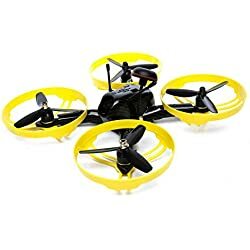 If you prefer a cheaper fpv drone to start, try one of these Best Low Priced Beginner WIFI FPV Drones. FPV racing kits don’t come assembled and are usually purchased by more advanced racers who have some knowledge about the assembly process. If you purchase a racing kit you will get a box filled with components and other parts that you put together, this can be tricky, especially if you never did anything like this before. Precise soldering, wiring and all that good stuff requires a lot of patience and a steady hand, not to mention a fair amount of experience. However, a lot of novice enjoy the challenge. 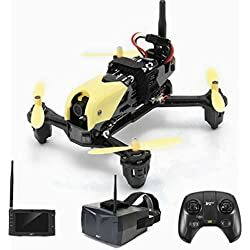 Keep in mind, Building your own racing drone can take anywhere from several hours to several days, depending on your expertise. If none of these fit the bill, you may want to visit Banggood or Gearbest for a larger selection. 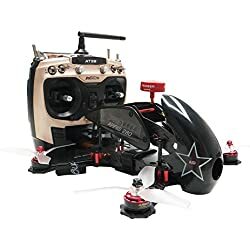 Most beginners start without using goggles at fist to get familiar with controlling the racing quad, but at some point, you’ll want to invest in a good set of goggles for a real FPV experience. 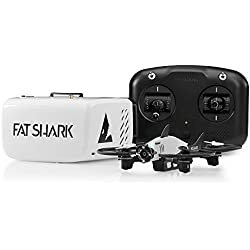 Below you will find 7 of the most popular FPV Racing Goggles on the market, the list includes low cost beginner headsets and a few high end models you can buy. So now you know what’s available, the only thing left to do is choose which model is within your budget. 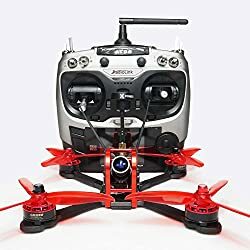 This sport can get expensive, so be prepared to spend a little extra and don’t forget extra props and batteries. 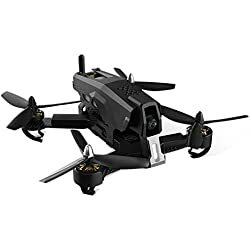 These Racing Drones are only a few of the latest models on the market, but will more than supply that need for speed you have and give you a good idea of the awesome experience many other drone pilots have come to enjoy.